Ambience Air Makes Everyone Feel Right at Home. Ambience Air is the biggest dealer leading the way in massive savings with individual engineered component designs to pass onto our valued customers. If you haven’t had a proposal from Ambience Air using the Advantage Air components, you may not be getting the absolute best value for your invested dollar. 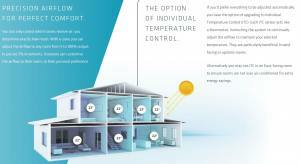 There’s much more to reverse cycle air-conditioning than blowing hot and cold air. It has the ability to create a home environment that is perfectly tuned to the comfort needs of all its inhabitants, no matter how diverse. Along with top brand machines Ambience Air recommends only the best component to complement your Ducted home of office comfort system. 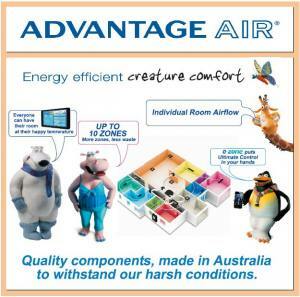 Advantage air have taken their Award winning Australian made evolutionary product to the highest level ensuring the upmost efficiency along with clever technology. 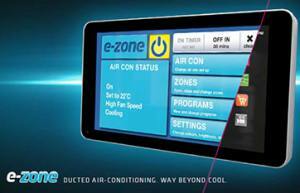 Zone station has a series of electronic default constants that serve to reduce energy wastage and allow for greater flexibility and capacity utilization. Features easy to see green LED indicators so you can see which zones are on – even at night. 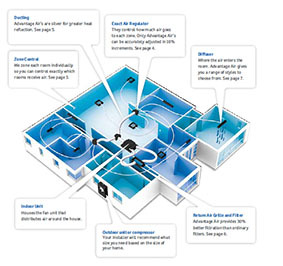 Zone 10 is the newest product in Advantage Air’s zone control family, it has capabilities for up to 10 zones to be electronically controlled using our proven damper system, coupled with a series of electronic default constants build in to ensure that you can’t close off too many zones. These clever contants are there to give you total control over your home’s air-conditioning, but also serve to reduce energy wastage. 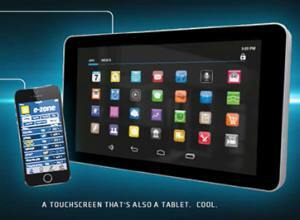 All of this controlled through a sharp, intuitive touch screen. We don’t just develop cutting edge control systems. 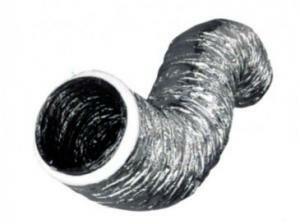 Advantage Air has been manufacturing duct here in Australia for over 15 years. We know our duct works so well it is guaranteed for 10 years and made with a ‘double fold’ method which strengthens every length we make. We also have a range of duct to fit special situations from ‘Acoustics’ noise dampening ductwork to high grade Dynafix, we have it. The Purtech Return Air Grille is another example of Advantage Air leading the way in delivering quiet and efficient systems. 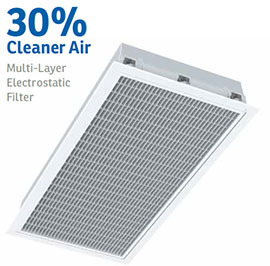 The multi-layer electrostatic technology can produce up to 30% cleaner air. Plus it’s easy to remove and clean. The only diffuser available with adjustable blades that sit flush with the ceiling. 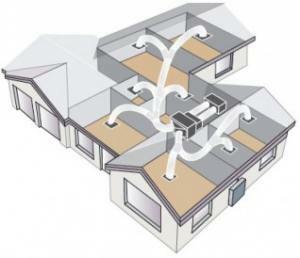 Unique 7 point setting systems allows blades to be adjusted precisely to diffuse cool air across the ceiling or to direct warm air down into the room. A smaller compact version of the Linear Elite Diffuser that still delivers a big impact. On distributing air specifically to all corners of the chosen room with adjustable blacdes, it allows precise control of the distributed airflow. The cutting-edge, sophisticated design of the Linear Elite will enhance the interior of your home. They can be used in specific rooms whilst choosing a standard diffuser in other rooms.